The Nintendo support forums and our tips email alike are packed with reports that Wii system update 4.2 is doing horrible things to Wii consoles, and not just the modded ones. 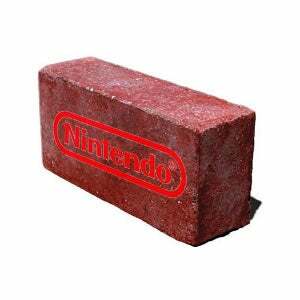 A quick scan of the Nintendo tech support forum tells the tale of a system update gone slightly awry. The update is freezing halfway through. The update is giving system errors informing customers that their Wii has been modified and then failing to start. There are even reports of random disk read errors following the update. While some of the problems can be attributed to modified systems, customers are reporting issues with units right out of the box. Kotakuite Crazy Weavile submitted a possible explanation for the problems on the Nintendo forums, suggesting that the latest update irresponsibly updated the system's bootloader, only to find himself banned shortly thereafter. While no help is on the horizon for modded console owners, Nintendo tech Jane posted a message in the forums yesterday instructing owners of unmodded Wiis to send their units in for a free repair. Some of you have reported problems with your Wii console after updating to the Wii System Menu 4.2. The symptoms most people are describing usually occur when the Wii has been modified. However, some of you also mention your system has never been modified. We'd like to help get your system working properly again. If you're experiencing problems with your Wii console after downloading Wii System Menu 4.2, and you believe your system has not been modified, please give us a call. If we find that you have a normal system and the update caused your system to not work, we'll repair it at no charge. Please call our Customer Service Department at your earliest convenience, 1-800-255-3700. We are open 6 AM to 7 PM, Pacific Time, 7 days a week.